Hofstra University North Shore LIJ School of Medicine's addition. Interior of Hofstra University North Shore LIJ School of Medicine's addition project. E.W. Howell, an industry leader in general contracting and construction management completed construction of a 63,000 s/f addition to the Hofstra University North Shore LIJ School of Medicine. Unveiled with a grand opening ceremony on March 2nd, the new addition more than doubles the size of the existing school which opened several years ago. Designed by HLW International, the two-story building is linked to the existing building with a two-story lobby. First floor spaces include a 241-person auditorium; a 7,000 s/f laboratory, a multipurpose room that seats up to 90 people and an events space in the lobby. The second floor includes the dean's suite, faculty suite and offices and 12 small-group classrooms. Paul O'Rourke, executive vice president of E.W. 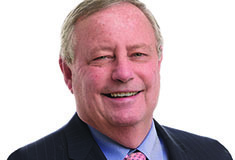 Howell, said that several Hofstra alums work for the firm. E.W. 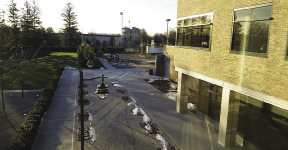 Howell has worked on several other Hofstra projects, including the Netherlands and Graduate residence halls. "We have a long history with Hofstra, and to see Hofstra become a premier medical school with North Shore-LIJ, to be a part of something that keeps attracting great students to come to Hofstra - that is what makes me really proud," O'Rourke said. With a reputation for excellence that dates back to the late 1800s, E.W. Howell stands at the forefront of the New York building community. With over 120 years of experience in general contracting and construction management, the company's success is grounded in its longstanding client and industry relationships, forged by a commitment to outstanding quality and unwavering integrity. Widely recognized for state-of-the-art construction, cost-efficient execution, and out-of-the-box solutions, E.W. Howell works with clients that represent a wide range of markets including: corporate, educational, institutional, healthcare, and retail.